This palette was one of those I knew I had to have as soon as I saw it. A fun, but rather unknown indie brand palette with 25 fun colorful shades. I love big colorful palettes like this so off course I had to have it! And I love supporting indie brands as well, so win win right? This palette really is stunning. The packaging is cardboard with a mirror. The outside has a print of a tropical beach babe with a huge hat and some palm trees and a pool in the background. Very tropical vacation vibes! Inside the packaging is yellow as a bright contrast to the fun shades. This is not a palette for the neutral lover. It does not exist a single brown shade in this palette, so this one is exclusively for summery, fun, colorful looks. You got one row of pinks, one with orange, one with yellow and green, one blue and one purple. They have fun summery names like Mango, Blue Lagoon, Raspberry, Banana, Tropical Fruit and so on. The finishes are a mixture of matte, shimmers, metallics and one matte with glitter in (you know what I feel about those shades already right?). I had so much fun creating looks with this palette, so I really enjoy the overall feel it gives and the creativity it sparks. I think maybe some of the shades are a bit too similar though. Especially in the purple row the three darker mattes look very similar on the eyes. Blue Lagoon in the blue row is a fantastic metallic shade. I am a bit confused why there are not more of this stunning formula in the palette, instead of for instance one of the three similar purple mattes. Also two of the matte orange shades, and two of the pink shades was very hard to tell apart on the eyes. So even though you overall get a very nice selection of different finishes and different colors it could be better if some of the very similar shades was replaced with either something deeper to deepen the look, or a shade with a different finish. But by all means, the variety is good enough to create a number of fun looks. The quality is quite good, but there is a bit of inconsistency in the palette I think. As mentioned before Blue Lagoon is a stunning, rich, smooth shade with intense pigmentation. The other metallics are also good, but not as vibrant as Blue Lagoon, even though “Berry Blast” is pretty close. The mattes don’t swatch that well as you can probably tell from the picture. They look patchy and not as pigmented on the swatches. I did find that they performed better on the eyes than on the swatches though. I did not have troubles with the shadows looking paler than I thought they should, and most of them applied and blended nicely. On exception was the matte baby blue “Blue Hawaiian” that I found a bit patchy. Overall the shadows work great, but there are a few that is a bit less impressive. One of the shades “Blue Curacuao” is a dark matte with glitter. I generally don’t like these shades, but this one performs almost completely like a matte. All that fine glitter disappears as you blend, and you would have to use a very tacky base to make any of that glitter stick. I would personally have preferred just a regular matte. In general the shadows are very dusty, and gives plenty off kickback in the pan and fallout under your eyes. Keep in mind I am a bit sloppy and almost never bother to knock excess of the brush, so of you are good with that then maybe you are a bit more lucky than me. I don’t mind the kickback so much either. It means off course that you loose a bit of product. I have used mine for the 8 looks I posted on Monday in addition to the swatches and it kind of looks worn already. So these shadows will not last you an endless amount. Overall there are some really good shades, most performs satisfactory and a few duds. 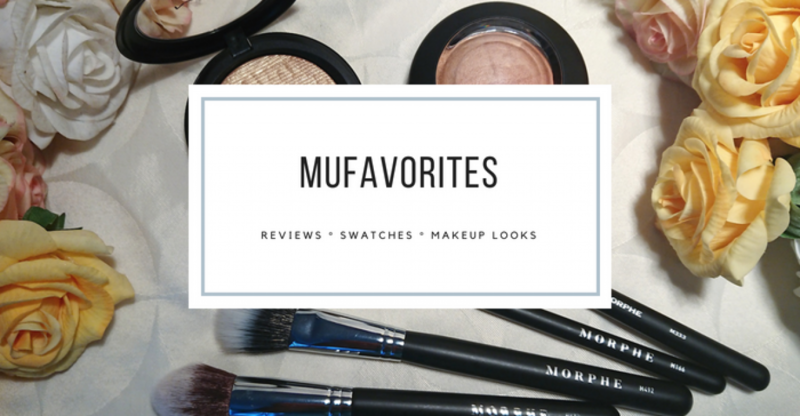 The palette overall is not top notch in quality, but I would still recommend this to a makeup lover that enjoys a colorful palette, because I am very happy with the looks I did and how creative this palette inspired me to be. One of the most important traits of a palette except quality is it’s ability to inspire! So in that manner this one is really great! As long as you are not very bothered with kickback or fallout I think you will be happy with the looks you can get with this. I am happy I picked this up, and I will for sure keep an eye on what other stuff September Rose may release in the future. I am pretty sure I would happily pick up another colorful palette by this brand, because I really enjoyed this one! The palette retails for 24.99£ which is pretty good for a indie eyeshadow palette. And yes, did I say it’s Vegan and paraben free? Also, remember to hit me up on Instagram if you haven’t already! As always this was a great in depth review of the palette. I think I now know finally that I don’t really need it, since I have a ton of colourful eyeshadow palettes. And some of them perform so well, taht I would expect something great from new palette in order to compete with them in my collection. But it is true that the colours are very inspiring. That is always a nice feature of a palette! Great review, I have to say I’m very tempted. I want a colorful palette that doesn’t cost a fortune!